The weather had been horrid in July and finally when the sun did come out, I didn’t have any bookings on the plane. This resulted in the longest gap between flights in my training – good weather AND a plane never lined up. In an effort to meet those who had been lucky enough to get flying in the one week of glorious sunshine we’d had, hear stories of how good it was and encourage them to cancel at the weekend 🙂 I went to the monthly aero club get together at a local pub, really good evening as always and it got my name around the flight instructors that I was desperate to go flying! They say you make your own luck, maybe that’s true because at 8:20am the following Saturday morning the phone rang – the aero club had a very last minute cancellation for the 9am slot, they knew I wanted to fly and was within easy reach of the airport with such short notice. I hadn’t flown in the best part of a month, so my currency was in question. The briefing was pretty short and sweet though: Go up, we’ll do some flapless landings with an intent to do duel/solo – but we’ll see how we go, if I was ok flying, I’d go do some solo. If we got up there and it was all a bit too rusty, we’d leave the solo for another day. Take off and Climb were all good, but forgot to back the power off to 2000 RPM in crosswind, as a result the airspeed was on a run for 100kts before my instructor reminded me to watch it. Following another plane doing epically wide circuits (and over a village it shouldn’t have been flying over), the approach was done from far out and was high, I found myself adding a little power when none was needed, but we got down, the landing was ok and for once, not flat! Yay! Was all round more awake on the airspeed, my instructor reminded me I was converging on circuit and to set a reference to fly on. I remembered my downwind call, ATC came back to inform me we were number 2 following the Extra 200 …..unlikely to catch that, but because it’s small fast and maneuverable it can be a trick to spot, my instructor had it a clear 10 seconds before I did. 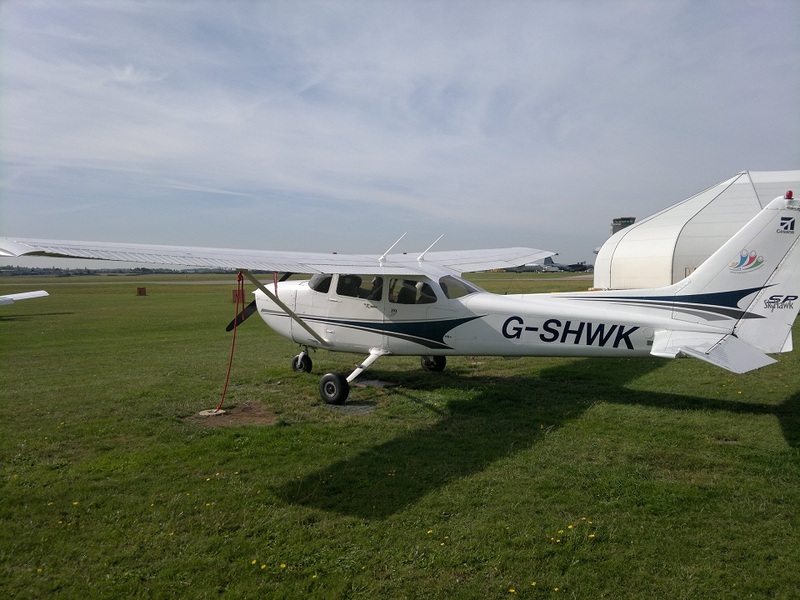 Approach was ok, but I must have missed a radio call as I radioed final, only to be told by my instructor I’d been cleared to land already, Air Traffic repeated the clearance….not a big problem, but obviously you don’t want to miss calls etc. Landing was a bit hard, could have held off a touch longer. Up we went again. Downwind was a mess, first I flew it at 870-950ft, on a 1000ft circuit 🙁 Then my instructor asked ‘Where are we?’ and this just threw me……Cambridge, England, The World……? What do you mean where are we? Ohhh downwind, aaargh, downwind call. The rest was all pretty good, until 50ft off the runway when rather than sink, it floated up, a slight moment to grimace then on with full power……going around. My instructor said I could have landed it, but ballooning has been drilled into me as a no no! So I decided on the spot to be safe. There are no points for dropping a plane on tarmac from 50ft. Under orders on the climb that the altimeter would not read 850ft this time, I was told to make it a ‘to land’. It takes 10min a circuit, so I knew either enough was enough, or maybe we’d be landing so she could get out (leaving me to fly solo 🙂 ). Downwind was at 1000ft, radio calls all remembered and the approach was fine – it’s amazing how hope of flying solo focuses you! The landing was average, being flapless it was a faster approach, so took a while to stop and I was reminded not to use the brakes until we were at taxi speed. Exiting at delta, I did the after landing checks and my instructor said to drop her off near the tower, I could go solo for ‘a while’. Go do a few solo circuits, as many as you like, I’ll radio if the time gets silly. The fuel gauges said I had 3hrs plus reserve of play time 🙂 The instructors last words being ‘Go have some fun’. 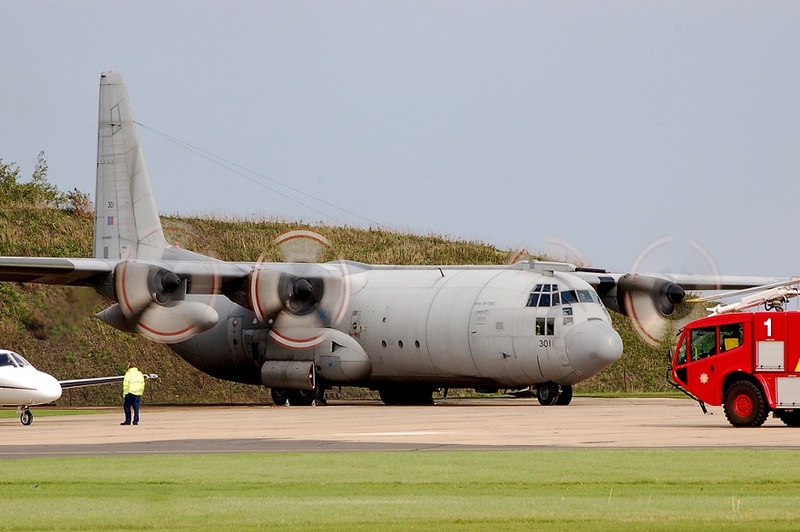 With a call to the tower for ‘further taxi’, I was cleared to taxi back to Alpha……Then told there was a C-130 doing engine power checks down there and to watch out for it. The traffic you get here makes it interesting. Power checks done I lined up and waited for Charlie Bravo to land, as it did I was cleared to line up. They were touch and going, so I wasn’t even on the runway when my lineup clearance was upgraded to a takeoff clearance……..I still find it a bit weird to watch other pilots who I now know, land planes in front of me, and take off behind them. It’s very cool, but just strange. Full Power and we were off, knowing my instructor was in the tower I tried to make the climb as straight as possible, how good it looked from the ground is hard to judge, seemed good to me. More of the same, all flown pretty nicely, there was some traffic about to join the circuit so I was conscious of them. Overshot the turn onto final, leaving me right of the runway but nothing that couldn’t be easily fixed. The landing was perfect, like a feather touching down. When you get it this right, it’s always a nice rush of adrenalin. No time to stop and pat myself on the back, just enough time to squeeze another lap in yet! Really enjoying myself on these circuits, I was thankful for every second of flight time. I’m pleased with how consistent my flying was on these solo circuits. The approach was good, but it just didn’t quite want to come down that last 80ft, so the landing was a bit labored and chomped a fifth of the runway before touch down. Perfectly fine, it’s a massive runway and I wanted to get down as I had traffic behind me. This means, turn around on the runway and taxi back up it in the opposite direction to its normal use. I knew there was traffic on final, so I wanted to get this done sharpish, facing oncoming planes that have intention to land is not fun! Soon sorted and on the way to parking. In the plane the parking looked ok, it was when I got out I realised it was slightly shocking, the front wheel was 10cm right of the wheel platform! This made tieing the plane down ‘fun’ and just about possible. I was asked how it was, and said I thought it went well, I was really happy with one landing and no worries with the others. My instructor said it had all looked fine from the tower. Excellent stuff, 3 solo flapless landings ticked off. This entry was posted on Monday, July 30th, 2012 at 8:58 am by PHC	and is filed under Actual Lessons, PPL Course. You can follow any responses to this entry through the RSS 2.0 feed. You can leave a response, or trackback from your own site.